More and more people wish to make their passing a happier occasion. They want their loved ones to remember them as they were, and to celebrate their life. Funeral fireworks can be a great way to do this, surrounded by family and friends. Our Celebration of Life firework provides a truly memorable send off. The spectacular Tribute Rockets may also be used for scattering ashes into the heavens. A frequently heard comment of people who have used funeral fireworks is that it turned a sad occasion into a much happier one. It is a true celebration of life and will provide one more lasting memory. Funeral fireworks are specially developed to scatter the cremated ashes of a friend or loved one. Our professional memorial firework displays are designed to your specific requirements. This could be, for example, a firework display choreographed to a favourite piece of music or a special colour scheme. Do you want to know if your requirements are possible? Contact our friendly team and we will discuss all the options with you. Besides professional firework displays, we also offer different self-fire tribute packages. These packages are suitable for firing from your home and come with information on how to do this safely. Heavenly Stars Fireworks has over 20 years of knowledge and expertise in the fireworks industry. 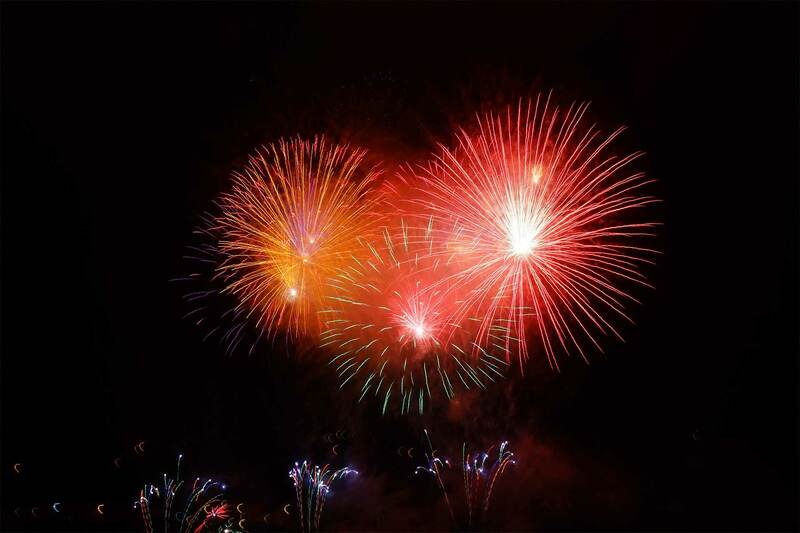 Our professional fireworks meet strict safety requirements and produce stunning effects. Our team aims to give your loved one a memorable and fitting memorial with an amazing display of colour, effect and sound, as a tribute to their unique personality.